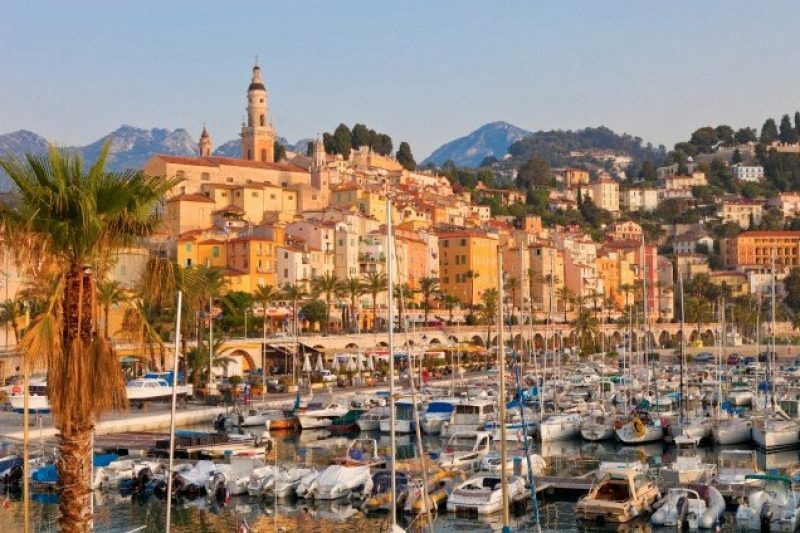 Of all the towns on the Côte d’Azur, Menton is one of the least talked-about, least pretentious and the most genuinely charming. It’s the last town in France before you get to the Italian border and it has all the elements that you might dream up of this part of the world – soft warm light, traditional-style red-roofed houses tumbling down the hilly streets to the shoreline where expensive yachts and fishing boats bob sided by side in the gentle undulations of the Mediterranean. As a bonus for rugby fans, this is where the long-lost grave of the father of the game Webb Ellis was rediscovered in the Anglican Church cemetery in 1958. 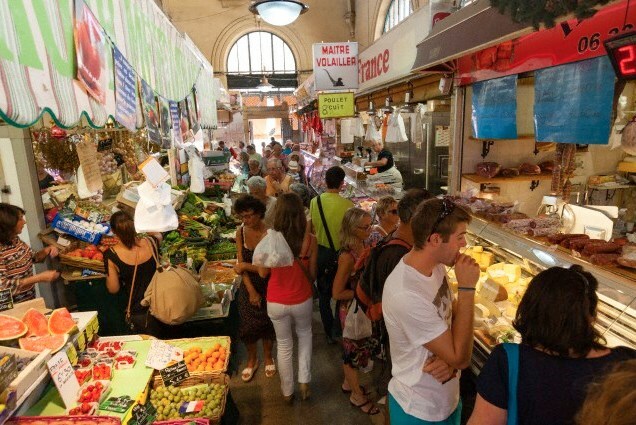 Les Halles, Menton: full of the warm colours and flavours of the Med. The Flea Market has grown so large, it had to move. It takes place on the Esplanade Francis Palmero every Friday from 07:00 to 18:00. An artisanal market comprises 12 to 15 stands of purely artisan stuff on the 1st and 3rd Saturday of every month from 08:00 to 18:00 from Place du Cap to Quai Bonaparte. Night-time market: a summer affair on the Esplanade Francis Palmero, it takes place every night from the end of June to the end of August from 19:30 to midnight with about 30 stalls. The Marché du Careï is another version of the main market only in a different location. It’s on every day from 07:00 to 13:00, mostly concentrating on food, but on Tuesdays and Sundays, there are clothing stalls too. The Christmas Market has been going for over a decade and was the first such one on the Côte d’Azur. It’s on the Esplanade du Bastion.